This handsome wooden wine/beer bottle open will make any imbiber happy. Personalize it with a name or monogram. 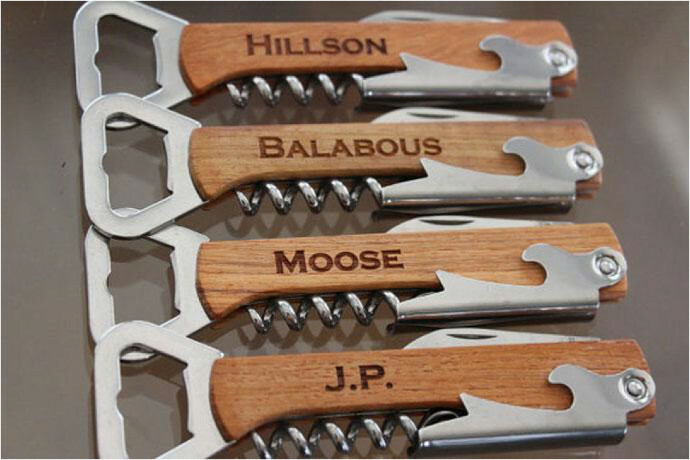 The opener has four stainless steel tools: Knife (2-inch long blade), corkscrew, bottle opener and fold out bottle opener. Available on Etsy.